An 18k gold circular cased wristwatch Ref.3468, rhodium plated 18 jewel movement adjusted to heat, cold, isochronism and five positions, overcool hairspring, shock-protected Gyromax balance and double stamped Geneva quality seal, silvered dial with inset gilt baton markers, baton hands, circular three-piece case with straight lugs. The watch has a black patent leather Patek Philippe strap with an 18K Patek Philippe buckle. The case, dial and movement are signed. The Extract from the Archives states that it was first sold June11th, 1974. 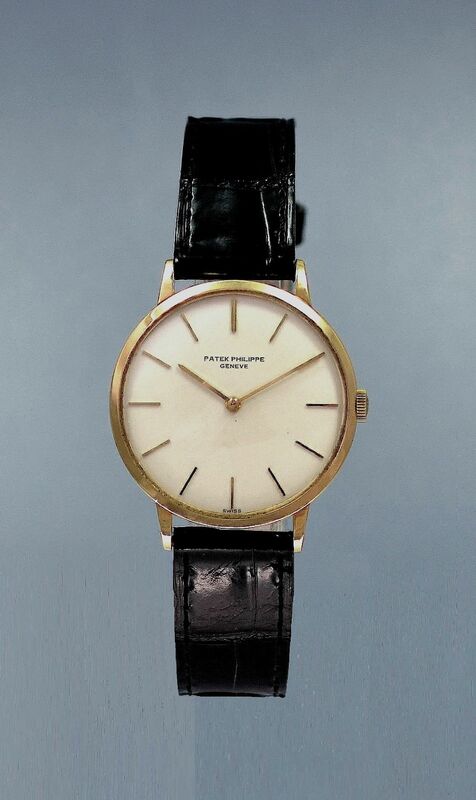 The Patek Philippe Extract from the Archives is supplied with the watch.